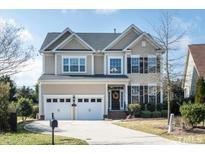 Below you can view all the homes for sale in the The Hills At Southpoint subdivision located in Durham North Carolina. 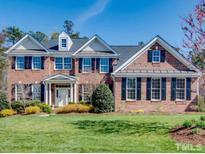 Listings in The Hills At Southpoint are updated daily from data we receive from the Raleigh multiple listing service. To learn more about any of these homes or to receive custom notifications when a new property is listed for sale in The Hills At Southpoint, give us a call at 919-759-5468. Located on a cul-de-sac that is next to the American Tobacco Trail, this gorgeous, like-new Toll Brothers home is loaded with upgrades such as: Tumbled Brick on 3 sides * Finished Basement (with Bonus Room and 5th Bedroom) * Gourmet Kitchen with top-of-the-line Jenn-Air appliances (including a 6-burner gas range, two ovens, a microwave, and a large refrigerator/freezer that looks like a SubZero) * Wide-plank birch floors * Screened Porch * 3 gas fireplaces * 3-car garage * 2 sets of stairs * Fenced yard. MLS#2246127. 238. The Hills of Southpoint offers a community pool, clubhouse, tennis, playground and access to the American Trial. MLS#2238359. 4592. Community pool, easy access to American Tobacco Trail, Southpoint Mall, and more MLS#2235885. 2784. Exceptional location! Adjacent to ATT & Southpoint Mall. MLS#2233463. 989.